Impressive from the outside, I gape, ogle and unashamedly admire the totally, literally sensational lobby of the Elmer Holmes Bobst. My library sensors are actually tingling. 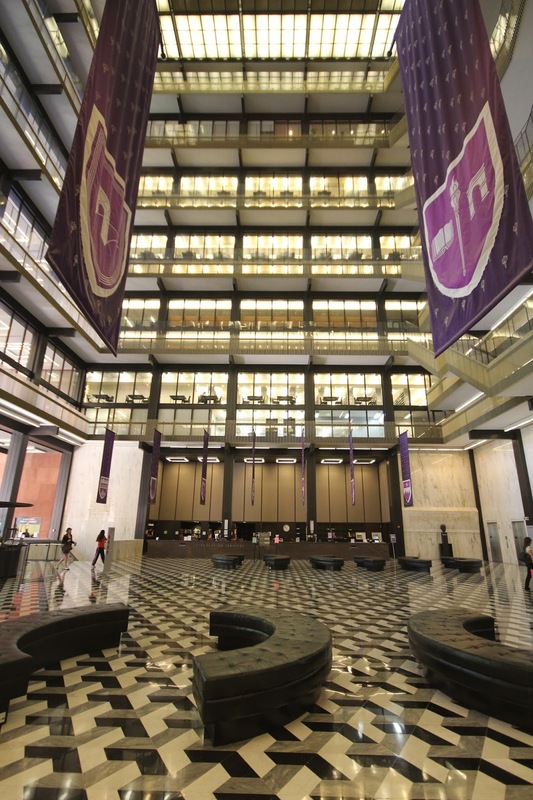 The architecture providing the space and the light to the circulation desk/alter, and the regal purple banners aside, I am captivated by the tiles. I want my skates.